Anglian are one of the biggest home improvement brands in the UK, providing high quality windows, doors and conservatories. Recently celebrating its 50th year the company wanted to improve their CRM plan and increase their newsletter database. 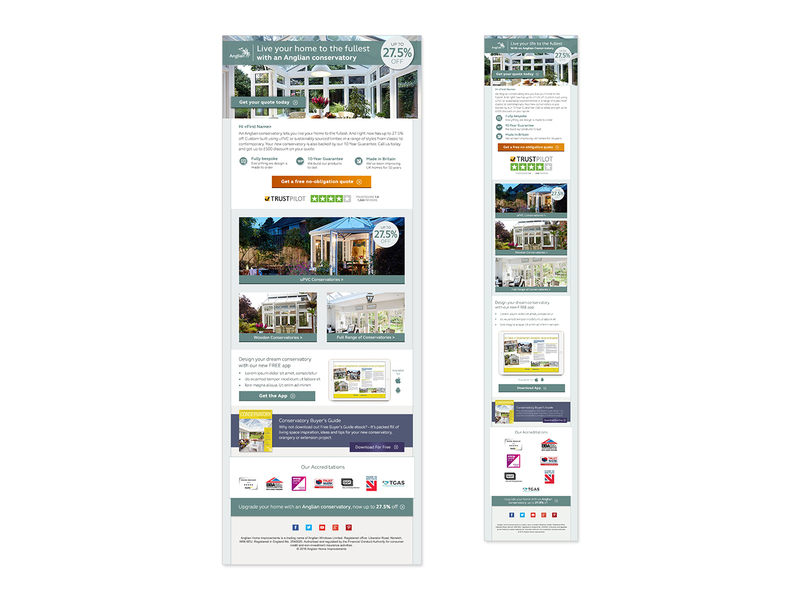 Brief: to create a new look and feel for promotional, reminder and keeping in touch emails. The site had recently been revamped but previous email had been sent out through basic and restricted designs so they needed to be designed from scratch. The key driver for the email was to encourage users to get a quote via the website, a challenge as there were no pricing available online. This meant the copy and design had to be simple and engaging for users. Secondary to that was to build the sizes of the database, as the era of door-to-door sales as the main marketing tool has ended. 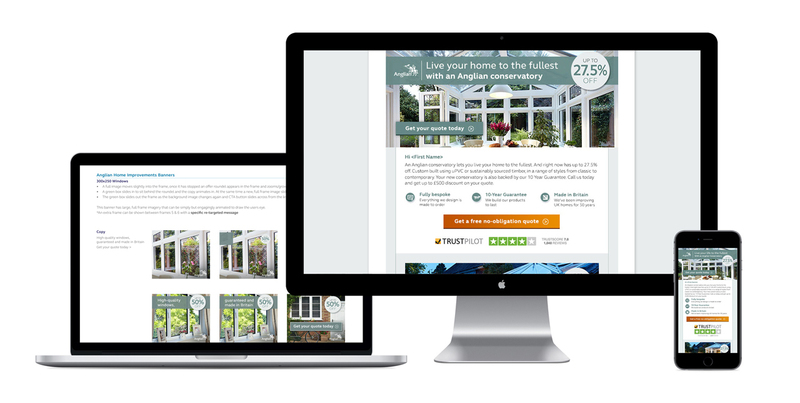 I worked closely with the planning team, who had a wealth of existing customer knowledge based on previous sales as well as user testing from the website as well as the copy writer to select the type of content that should be included. 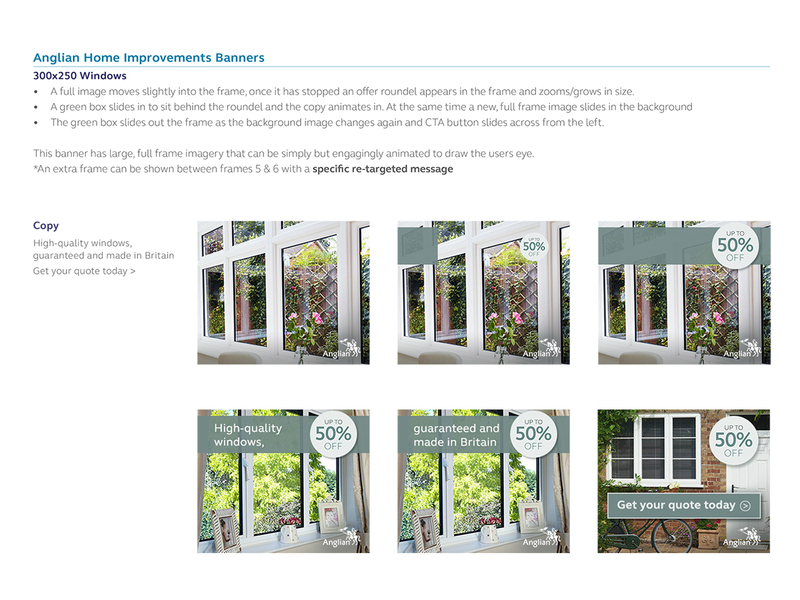 As well as the new email I was also responsible for creating a new set of HTML 5 banners. I created storyboards for these, based on the approved look and feel of the email as well as art direct the animation style. These storyboards were then handed over to a motion designer for final build.